We have added below some publications which you may find useful and of interest . These are listed in alphabetical order by title. A major new insight into the difficulties of raising boys, and how parents can help their sons fulfil their potential. A child-friendly approach to urban planning is a vital part of creating inclusive cities that work better for everyone. 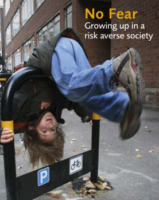 Designing for urban childhoods inspires us to respond positively to the challenges, and sets out actions that can help take us to a more child-friendly future – moving well beyond simply providing playgrounds. 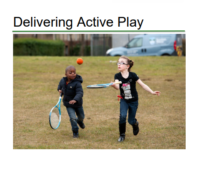 This booklet has been developed for the play staff who will be involved in the delivery of Active Play. 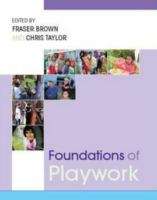 This guide from Play England is primarily for designers for children’s play areas. This guide will also give communities and schools ideas on play spaces including risky play spaces; water play spaces etc. Report from SCMA on early learning and chilhood. Play impacts on all aspects of human behaviour and development, including the social, physical, cognitive, creative, emotional and spiritual worlds. The profession of playwork endeavours to provide enriched play environments with a view to enabling children achieve their full potential. United Nations, General comment No. 17 (2013) The right of the child to rest, leisure, play, recreational activities, cultural life and the arts (Article 31 UNCRC) published February 2013. Children’s experience of childhood and play is becoming more gendered and polarised between girls and boys, with products such as toys, books, online resources and clothes increasingly being produced and marketed along gender lines. In the early years, children begin to learn about gender roles and expectations, and will pick up messages from their surrounding environment about what is perceived as ‘normal’ for boys and girls. They are influenced by their environment and the adults around them. They learn from everything they see, hear and do. This shapes how they see themselves and others as they grow up and supports them to follow their own wishes and expressions of identity. It is never too early to question what is seen as ‘normal’ or what is traditionally expected of boys and girls in our society. In fact, doing so from a very young age helps to protect children from the negative consequences of inequality and discrimination as they grow into adults. 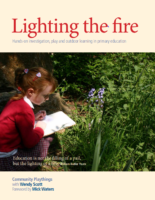 This resource has been developed for early years educators and it will also be helpful for parents, and anyone working with young children. 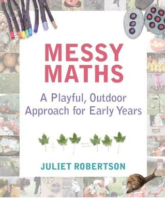 It explains the importance of challenging gender stereotyping in the early years and provides ideas and examples of existing practice from across Scotland. 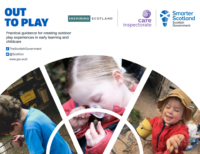 The document has been produced by the Care Inspectorate, in partnership with Zero Tolerance, Education Scotland, SCMA, NHS Glasgow, Glasgow City Council and Play Scotland. Children and young people have a thirst for adventure and challenge. This is evident from their earliest efforts to crawl and walk, and can be seen throughout childhood. What is more, the majority of children grow up to be competent, confident people who lead healthy, fulfilled lives. 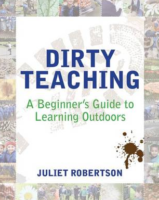 Practical guidance for creating outdoor play experiences in early learning and childcare. Children learn and develop through their play. In today’s world the opportunities for that to happen are increasingly restricted. The profession of playwork seeks to reintroduce such opportunities, and so enable children to achieve their full potential. A book that exposes the stark consequences on child development of both our low expectations of fellow human beings and our safety-obsessed culture. Play as a powerful learning and teaching experience remains key to effective early childhood education. Retaining its popular approach and style, this new edition reflects the contemporary context of early childhood education and care as well emerging research on young children’s development. 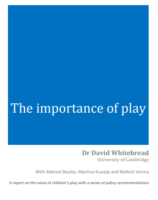 The Importance of Play from Dr David Whitebread, University of Cambridge. Playtime Revolution a free training resource for schools from GFL who want to improve their pupils experiences in the school playground. Chances are you knew life before the internet. But for children growing up online, life is unimaginable without it. Digital technology has transformed the world we live in – disrupting entire industries and changing the social landscape. Childhood is no exception. One in three internet users worldwide is a child, and young people are now the most connected of all age groups. From photos posted online to medical records stored in the cloud, many children have a digital footprint before they can even walk or talk. Digital technology can be a game changer for disadvantaged children, offering them new opportunities to learn, socialize and make their voices heard – or it can be yet another dividing line. Millions of children are left out of an increasingly connected world. This place is like a building site! Report on the introduction of loose materials to three primary schools in North Lanarkshire, North Lanarkshire Council. One in six children in the developed world is diagnosed as having ‘developmental or behavioural problems’ – this book explains why and shows what can be done about it. New report from the Joseph Rowntree Foundation. This report looks at how figures have changed over the past two decades. War, weapon and superhero play has been banned in many early childhood settings for over 30 years. 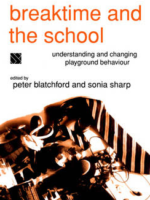 This book explores the development and application of a zero tolerance approach through the eyes of children and practitioners.